I have been said to be a very controversial teacher. Not everybody is going to believe in the things that I teach. Nevertheless, no matter whether they have believed in my material or not, I have never been accused of being cruel or mean. No one has ever said that I was unloving or harmful to anyone, because if they did, even they themselves would know that that was untrue. I have only ever sought the very best intention for each and every individual who has come to know me, work with me, or take interest in my work. Still though, there are some who still hate me because of my views. Even they still, being in opposition to me… could never say that I was ever unkind. But yes, they oppose my views and that may at times develop into hate because of very strong beliefs and values that they may have within them, that makes them somehow feel offended that I am teaching something different. Some may also acknowledge my psychic ability, and desire to have the same. But when they struggle to obtain it, it turns into aggression towards me because of the frustration that they feel within themselves. Truly, I always say that there is no need for any of it. If a person does not agree with my views, they can go on their way in peace. If they are having difficulties developing their abilities, and if they want help doing so, then we can try to figure something out together. I have still, mentioned many times religious organizations and individuals who have radically targeted me. I always say, that the spiritual prejudice in this world needs to stop. For those who are out there teaching or involved in the spiritual movement regardless of what teacher or a belief system that they are in, there are some things that they should know. Especially, in terms of those who target spiritual teachers and religious leaders. I can only provide for you my story, but perhaps there may be something that you can take out of it, if you want deeper insight as a spiritual teacher or someone learning with a spiritual teacher, yourself. This way you can be aware of what may really be going underneath the scenes, with those who try to stir up trouble, for spiritual teachers, their groups, churches or institutions. Now it is true that there are some corrupt spiritual teachers out there. But in honesty, I am not one of them. In all of these years, I have minded my own business. I have not spoken negatively about anybody else or their work. I have only ever mentioned some systems of control in religion that were used at the development of religion, in time. But I actually say that religion is a good foundation for people to start on, so I am not opposed to it, and I would support anyone who chose it instead. If that was what they felt was best for them. Because, that is what all of this is all about, finding what is best for oneself, in growth spiritually. I do not speak about other people negatively either, even when mentioning that they may be hurtful to me..I only state the facts, but never hurt anyone in the process.Nonetheless, let me go into what I’ve experienced, as I am extremely well educated in psychology, knowledgeable and sociology, and I have many friends who are some 40 to 50 years in the psychology industry, as well as friends linked to lodges, my own family’s connections. From them, I have learned a great deal about reverse psychology, mind control, and manipulation. It is an awful thing, and not something that I would ever to happen to me, or anyone else. Being psychic, you see the many layers of the mind, and how it works. This is why psychologists have always wanted to reach out to me. With that kind of deep insight, they have always wondered what really goes on within the human mind on a deeper level. I have always been the right one to ask or go to in that regard. Because of this, I know how sacred the soul is, and seek to protect others from predators who seek to get into the consciousness of others, for all of the wrong reasons. I see it all of the time, as many people study how to develop psychic gifts and abilities online, all in the attempts to gain power and control over others. That is why I have always said that being psychic at this degree is not for everyone. That kind of power in the wrong hands, can definitely lead to many people being hurt or used to someone else’s advantage. If anybody accused me of such they would be totally false because I have never imposed or enforced my concepts or philosophies onto anyone, and I’ve never forced anybody to do anything. If they feel any pressure to better themselves under me as a teacher, then that is because they are using me as a motivation. Others, would love to twist that into something dark, when it’s actually something very good that is helping other people. Sometimes I wonder why people cannot be happy for others. Anyhow, let’s take a look. It is true that in my career, I have made a lot of really wonderful friends. Each and everyone of them have been very supportive, loving, and understanding. While many people may think that I am forming a cult, it’s not a cult at all. I am just a spiritual teacher, who has also sought to find true friends along the way. People can read into things, the wrong way, just by looking at the surface value of things. For example on my Facebook… Many people think that the people who are in my groups, are a part of my Fanbase. And that’s absolutely untrue. The people on my Facebook are just actually personal friends. And that is why they gather together very strongly around me, as a support system. I do not seek to actually be a leader. I have only come to provide wisdom, insight and guidance. And for those who decided to stand by me because of the changes that I have helped them to make in their lives with the goodness of my heart, and my gifts and skills, then that is because they have found love within me, and I within them. Anyone else who may be there, are there, just to ensure that they do not miss any new information that may be shared on the social media platforms that I share them on. That is what anybody does, if they like the content of the page. It’s just like a metaphysical shop, or an online clothing store… People who enjoy those items and goods, will follow that page that they can see the newest updates. Well, in my case… it happens to be spiritual knowledge and information. However, people will try to twist something good into something ugly, making something, into something that it’s not. People are attracted to my page because they are like-minded or they have seen the miracles that I have performed in their lives. They are not there because they were being forced to be there, I did not ask them to be there, but I do appreciate that they are. With all of my heart. Within my groups, we have always had a very peaceful setting. We have had some misunderstandings, some were offended by others, but as a person leading, I can not be responsible for what other people do. Still, everyone has formed strong friendships there. And that is because again, it is a circle of friends. Of course they’re going to stick up for each other and me, should there seem to be any threat or wrongdoing. It’s true that in families there are misunderstandings all of the time, and each individual works through them, to keep the family together. And that is what we are trying to make online. A family to go to, when our own physical families are not there for us. In truth, there’s nothing wrong with that at all. It’s actually a very nice foundation of support, for people who have not had a lot of support in there every day lives. Once you form a very strong friendship, and there are feelings invested there…of course everybody’s going to stick together to ensure the safety and better emotional health, of the group. Within that group, everybody has their own issues, trials, and things that they are trying to work through. Everybody has come together because of something that they are trying to transcend, needing those around them to back them up while they do so. A support group of friends, so to speak. You may see a similar situation at a church, support group under a therapist, or even in a class somewhere. If a friend or member of mine does anything or has an issue with someone else, I can not be held responsible for the actions of others. However, anyone who has experienced something like that can always feel free to speak with me about it, and I can try to intervene. I do not condone bullying or harrassment, as you can see I am trying to end it through the spiritual movmeent of using the heavenly virtues so that this world can be a kinder place. But those things happen in circles of friends all of the time, as well as in communities offline too. In my work, I teach very deep forbidden occult wisdom. It’s not an easy subject to teach out there, because there are many strong religious beliefs and values that cause others to have an outdated conventional outlook that opposes new knowledge being brought out in the open. There will also be some, who just don’t want me to teach those things and try to stop me. I respect all religions foundations, perspectives, and beliefs. Others have not respected mine. For those that do, all that I do is post what I’m going to be doing or working on next, and others have total freedom to decide whether they want to participate or not. There aren’t any ultimatums, there isn’t any forceful pushing. If it seems interesting to an individual, they will ask how it will benefit them, and they can choose whether they will join in or not. It’s that simple. There isn’t any control or manipulation in any of that. Churches, schools, institutions, they all do the same thing. They put up a flyer to present what they will be offering, and members who want to join in, will. Those who do not, they don’t have to feel obligated. For others who are striving to reach a level of Ascension and awakening, they may engage in my soul development program. It’s a lot of hard work to reach total self and betterment, but what they decide, is up to them. They can choose what they actually want to do or not do, out of the advice that is given. If they have any kind of doubts, I may try to reassure them how the program has worked for others, telling them how successful others have been. I also admit when others have not been successful either. I always tell the truth. But this gives them maybe some more incentive to want to try, if indeed they want to. If they don’t then, that is totally OK too. If they misinterpret me thinking that I am giving them the percentage of success to entice them, then they are wrong. If they have invested them self into a program of mine, and they feel like they’re giving up, I will try to motivate them and encourage them to continue by telling them about other success stories. If they still decide that it doesn’t work for them, then that is OK by me. With the love that I have provided to people in friendship, the wisdom that I have given in my teachings, and the divine insight that has helped people to make wonderful changes in their life path…of course people have come to respect me. And in some, I have found friends. However, where someone is loved, there will also be haters. People who do not want to see me thrive or grow. 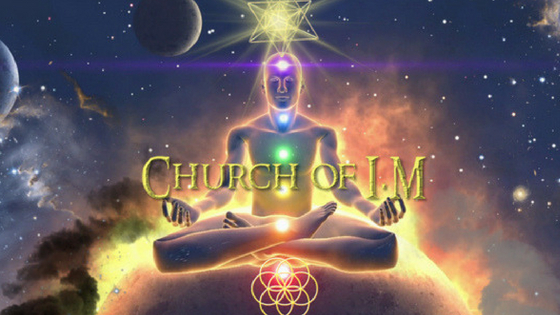 With the type of information that I am providing out there in the world, I am not only going to get regular haters, but there will be people from other religious organizations, spiritual groups, or even just individuals who are trained to deliberately try to use mind control tactics such as manipulation and reverse psychology, trying to break my group up from the inside out. Of course that takes time. Obviously to stop a teacher, the only way to do that is to make it so that there is nobody there, to teach. Thus enters, the Class A narcissistic personality. These often at times, will be people that misinterpret things that I say deliberately in order to somehow propose that I have purposely caused them offense.. And they will take the things that I say or teach, personally upon themselves, when in fact, it has nothing to do with them or anyone personally at all. If people were to go through my pages on social media they will see, all of my content is related to the lessons that I teach, life coaching motivation, and it is always full of love and very positive. I always publicly shout out people who are growing and achieving, so that they can feel the love and support behind them. I have never spoken against anyone in any negative way, because I do not look at people negatively. If I am being attacked, I may inform the people closest to me, just so that they know what is going on. But I never belittle the attacker, I only merely mentioned the attack. I have only just loved others, and those that know me well, will all tell you that I am an individual who has been a true friend, support system, selfless and giving of my time due to the love that I often show to people. Nevertheless, those who are infiltrating my group from the inside, will often come to the group acting as if they agree with what I teach and that they support me 100%. They will wear that mask for quite some time. Like I said, it takes time to gain trust, then lead people away from the teacher. If the teacher has no students and they are not a teacher anymore. And then the agenda has been completed. Getting back to those who oppose me, they often devise plots against me. They will, get into my group to get close to the people that I have gained as friends, and they will act as if they are friends as well. They will gain their trust. And once they do, they will start trying to appear as if they are confused by me, that they feel singled out by me, or, they will start implanting doubt within the people in my group. Usually, they do this by getting very very close to them, on a very deep interpersonal level. They will appear to be extremely active and participate a great deal, acting as if they totally back me up and support me as a friend, all in the attempt of making friends with the others. This will usually lead to a lot of activity on the pages. On top of this, they are making friends with those who are closest to me behind the scenes. They will strive to bond and form personal friendships with my followers. Acting helpful and supportive in stressful situations that they go through, giving out advice, and always being readily available for them. They will be the first comment, and the first to reach out. They know that I am very busy helping many people each day, so being there always, gets the person to trust them, instead. They will even seek to meet with these individuals in person as well. There’s nothing like a close intimate bond not just online, but in person. If not in person, they will still continue to talk a great deal to them, to gain trust. This can go on for a few months up to even a few years. Once they have gained the friendship and trust with the people who are close to me, they will start to put up a Posts that counteract something that I am teaching. That is so that the people that they have befriended, will start getting the subtle implanted hints of doubt, that make them question what I am trying to teach. It is totally OK to provide different perspective. Not everybody has to believe in the same things or even in what I teach alone. But it does make you wonder why a person with a totally opposite belief system would even be in the group to begin with right? That would be like sending someone who is Catholic to a Muslim church. The other thing that happens is that, once this is recognized and pointed out, once questioned… They will start acting out very irrationally. That will normally lead to their putting up indirect posts against me. To implant the idea that there is some kind of strife between the two of us. Then it provokes the others to get involved, wanting to ask the person who they may have thought of as a friend, what is going on. Then those people will then come after they had asked that individual, and ask me what had happened. I will be 100% honest about the situation in which then, those who support me will be blocked and deleted by the individual. Those that they feel may have a small inkling of doubt, will be kept as a friend by that person to work on them through their continual indirect posting that will go on for several months. And that is where the conflict begins. Since that individual will have added many of my friends, many of them will still think themselves as a friend. And when they go to show support to that individual still, not knowing how deep these issues go, the attacking individual then make it appear as if people from my group are continuously targeting them now. It is reverse psychology. I have had this happen to me already about a year and a half ago. It was very upsetting because people in my group had really loved the person that they had come to trust and befriend. I’m sure it hurt a lot of people’s feelings to be accused of something negative, when all they were trying to do was continue to provide positive support by liking things on the person’s page or commenting to show participation. Still though, after a while everybody will get blocked, so that they can say whatever they like without anyone to defend me or any opposition. You can see how this works. Now after all of that happens, they will still be on the prowl looking for anyone who may have left the group at some point later on too. Once they have, they will more than likely contact that person even if there had been adversity with them before. Conversations will then be started in order to form an alliance against me. And that is when I will block people because I don’t want to have any problems or issues with anyone. I am a very shy, humble and very passive person who just wants everyone to get along and love one another . So instead of feeding into it, I will just merely ignore it. If others are experiencing it to, they will be suggested to block the person as well that they no longer have to continue seeing the negativity either. But it is their choice whether they want to or not. Nobody puts a gun to their head of course. However, once those were targeting me, see that I have blocked them for that others around me have blocked them to, that will feel the anger even more. They will still use opportunity to discredit me or speak out against me. It’s very obvious at that point to anybody who is skilled in psychology what is going on there. All the while I am still keeping up with my work, minding my own business, and just trying to keep everybody motivated and going in their own personal paths. Obviously, I am not focusing on other people myself so much that I would even continue to entertain all of that, but I do keep awareness over it. I’m going to be a mother soon and I have more things to worry about than someone else’s opinion of me. However this article was extremely important because, I would really like to prevent any further misunderstandings, or drama in the future. Everybody would just keep their eyes and ears open based on the signs, and they will know who not to get close to in the first place. I don’t want to mention anyone directly to anybody else, as a warning. And that would be like gossiping. Whatever if an individual asks me directly, if I feel they can trust someone, I will be honest and let them know that “hey that person is very nice person, but under the surface there may be some other things you need to be aware of so just be careful”. Otherwise I usually don’t say anything at all until the drama begins. Hopefully, this article will prevent that in the future. Everything above is infiltration from within a group, and it happens online and offline too. You can see how, by the person/people showing the above symptoms, and making a clique for themselves. All of that is a form of organized sabatoging. Sabatoging is a form of gangstalking, and often leads to greater forms of harrassment later, and bringing others into it to also harrass, as a result of the reverse psychological tactices used. In all the attacker oftens makes it appear is if they are victim. Little things will be picked at, and made into larger thing and others lured in through the display of drama, and the “victim” role. Still, inside of a group, an attacker will come off as innocent, and then make close interpersonal relationships, even trying to go beyond the relationships that the target has made. Zersetzung is the original German word that means “deconstruction or disengage” and was actually a psychological tactic used in warfare to discredit, and then eliminate political activists, enemies, or whomever a group had perceived as being a threat to them. The methods of gangstalking, all stem from psy-ops. Psy-ops is actually short for “Psychological Operations” which is specifically done to defend propaganda and launch attacks. In other words, this is a form of psychological war. Psychological warfare, is used for a number of reasons. In this case, it is when a group is trying to promote an agenda, and somehow a leader or person is selected for a variety of reasons. The people that they want to attack, are those who they feel are in some way against them or their agenda. The target is whom they feel that they are not aligned with what they represent, are well known, well established, and highly effective themselves and could pose a potential threat or danger to what they are trying to do. In my own case, I was targeted since childhood due to my blood type (AB RH Negative), and my psychic abilities. In this I had spiritual forces at work who targeted me, and then startin at eight years old, two spefici religious groups. Those two religious sects were not connected, and while approaching their mission by reaching out to neighbors, it seemed that myself, and my Aunt (O RH Negative), were specifically visited by them at seperate times. She and I lived across the street from one another. Our homes were the only ones visited on that street, on that block, on those days. She eventually joined, having been persuaded due to difficulties in her life, and the promise of healin and a better family life that the church could offer. I went with her, but when I spoke up about my naturally born knowledge and psychic gifts, they began testing my abilities in an office to the side of the congreations main meeting hall. Remote viewing using hidden keys, asking heavenly questions, testing my insight etc, were all done at those times. However, in passing their illumination knowledge questions, and their psychic testing, I was being forced towards baptism which I know was to control my insight and gifts, by bringing into the church. My parents would not let me attend with my Aunt anymore. I only attended as I loved God and desired to find him in any place, people, or belief on Earth, eventually through them all. I knew him already, but I desired to know how people saw him or how their relationship was with him, as mine was close, communicative, and provided wisdom and unknown and unforeseen things, no one else did. I stopped going to that church though. I stayed with my own relationship and conversations with heaven and received many visions, messages,and I knew so many things. But to find a community? It would not happen. In my teenage years, they returned. This time, I listened, they were kind enough and I love wisdom. But still, I just couldn’t comform. Again, this other church appeared at my home at the ae of 19 and I merely told them that I love all paths, but for me, there was no Earthly path, that my love of God alone is all that I could really ever fit into here. It did not stop them. So far now that my work is out there, I am targeted by a number of individuals and organizations. Many want to know what I know, and how I know. Since I don’t share, or I am protective… the harrassment begins. This happens to many everyday, especially those in my line of work. While the actual objective of the stalking or smudging campaigns is kept from victims, the tactics can escalate to extreme levels and can result in victims attempting to escape through suicide. I have heard of stories where it escalated into that. Its a shame. It’s inhumane to make some feel that way, and even cause other members of a leaders group to feel that way, to make it seem like the leader’as fault. Victims are driven into isolation from all social activities, they are systematically discredited, their standing in the community is destroyed, relationships and careers are decimated, and financial resources depleted leaving victims without the financial resources or the capacity to fight. The problem appears to be ignored by police and officials given the difficulty in proving harassment across a large number of people and the nature of the crimes utilising sophisticated technology and psychological techniques. I feel that many more of these basic human rights are infringed due to results from public harassment, and intimidation, interference in work, confidence, credibility, and community standing. The harrassment is a psychological war tactic used to discredit and disable political activists or perceived threats in spirituality, the occult, whistleblowers, conspiracy theorists, and anyone else.. The techniques are reportedly used by numerous extreme organisations such as The Church of Scientology, Mormons, and even the US Government. The techniques are well known, well established, and highly effective. – Profiles are built to identify any and all weaknesses and insecurities to be used later. Information often obtained through sexual partners or trusted people in their lives. Making friends with the closest people to that person, to gain intel. – Conditioning where victims are sensitised to certain stimuli such as everywhere you go someone will cough as they walk past you. The goal is to make you self police and then think anyone who coughs is involved in the harassment. People report of conditioning to include hand gestures, an overt use of colour in peoples clothing (like everyone you see wearing red) or cars a certain colour or with headlights on (also known as brighting). – Anchoring where someone will provide false rationales for the harassment. Often many possible rationales are planted to keep the victim confused and the focus of the harassment cycles from one possible reason to another round and around so as to keep the victim guessing in a self perpetuating guessing game where every scenario you are to blame and causes self doubt, fear, intimidation, and ultimately a cycle of destructive thoughts I have seen this a few times in a few that infiltrated. – Street theatre where a group will “perform” an overt activity like a fake confrontation or scenarios designed to test your reactions. Often takes the form of a couple who position themselves near you and then have a conversation using many of your conditioned words or pertaining to your particular situation and sensitivities. – The use of directional speakers which have the ability to direct sound to a single individual in a crowded room. This particular item is ultimately the most used and is often referred to as V2K or Voice to Skull and is used extensively in the psychological breakdown of the victim. The use initially is to cause the victim to doubt their sanity and drive them into the mental health system, and later to just torment and never give the victim a moment of privacy or peace. If they do enter the mental health system, then harassment escalates dramatically as the victim has now been “discredited” and can be labeled as someone with a mental problem if they do speak out about the harassment. – Sleep deprivation – this is perhaps one of the most insidious tactics used where victims are woken multiple times a night and can be kept awake for days at a time. The effects are dramatic and completely debilitating effecting concentration, mood, irritability, appearance, and significantly impacts all areas of their life – job performance, relationships, and significantly aids in discrediting the victim as they appear unorganised, disheveled, and sleeping patterns alter so they may sleep during the day (where noise campaigns are more effective) and be awake at night (where they can be painted as the one making noise and being a disruptive member of the community). – Baiting or entrapment where victims are harassed to the point that they lash out and commit a crime such as assault, break and enter or vandalism, as they try and locate the source of the harassment. Harassers will actively try to provoke verbal and physical confrontations especially after a period of sleep deprivation. Or they are prompted into an activity which can then be used as leverage such as affairs, sexuality, drug use, or other criminal activity. – Gaslighting which is a form of psychological abuse where someone will actively try undermine victims and to make them doubt themselves so that they lose all self confidence and self esteem and are therefor easier to manipulate and push toward the mental health pathway. It can be as simlpe as being told something which they then deny, then telling them how silly they are for thinking they said it, and turn the lie around into an attack on the person. It can be incredibly effective coming from a trusted person and before the victim understands what is happening to them. – Blackbag jobs is a term when a harasser breaks into a victims property and places something or deliberately moves something. The purpose is to cause self doubt, and fear that their property is being accessed which harassers try to then sell as paranoia. – Propaganda and disinformation is also the other key element to suppress knowledge of this practice as its effectiveness initially requires the victim to be unaware of the existence of gangstalking, gaslighting, or the electronic technologies such as directional speakers so huge amounts of time are devoted online to creating disinformation sites which attempt to discredit victims by pushing the mental health agenda. They achieve this by posing as victims and actively trying to sound crazy so that all victims are are treated as such. Also by creating websites claiming to help victims and being a resource for victims to come together and then harassing them to the extent that they lose hope and no longer reach out for help causing further isolation. – Further to the above, gangstalkers rely on disbelief and discrediting and as such much of the harassment is designed (at least initially) to mimic mental health issues. They also rely on their abuse being so extreme, so pervasive, so fundamentally immoral, as to be disbelieved and victims subsequently resort to photographing, videotaping, and sound recording their everyday encounters to disprove the countless unfounded claims made against them – especially in relation to gaslighting, which gangstalkers try to turn around and paint the victims as paranoid or irrational. Victims are made to feel helpless as every attempt to defend themselves is used against them and when they seek help they are met with disbelief or open hostility. Psy-ops is an awful game played by people who are hateful, carrying jealousy, spite, or prejudice toward an individual. They are very good at acting and planning. They are very smart, and patient and usually will go to the extent of all of the above for years, all in an attempt to gain turst, and try to bring a person down, in their group, in their life, and in their work. If you have a teacher, look and see how they are, how they treat others, how much have they helped others, and are they consistant in being the same? Are they kind, loving, helpful, wise, selfless, giving, and have they stayed that way? Do they treat others with respect and love? In this the heaven’s say “by their fruits you will know them”, and that means by their conduct, you will know if your teacher is a good teacher or even a good person, or not. If you see that they are good, stick by them and don’t believe what you hear, and most of all be careful looking for the signs of hidden wolves in sheeps clothing, and when you see them, steer clear. If there is anyone with a negative opinion about their teacher or their teachings within a group, prganization, or church, you have to ask yourself, why are they with that teacher then? Negative projections are often a sign.